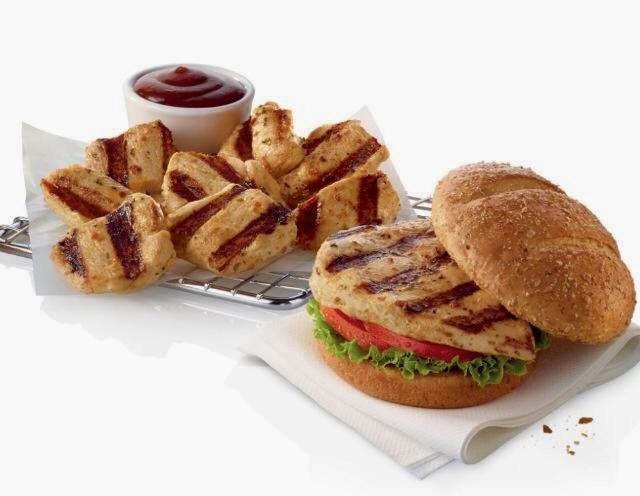 Pictured is the Chick-fil-A Grilled Chicken Club Sandwich. Excellent product but what makes it excellent is the tenderness and juiciest of the chicken patty. This was described as a goal in the article we previously posted. Well, they did it. In fact, it made me realize that we are over cooking our chicken at home. $4.00. You know you’re going to spend $6.00 to $8.00 for a full meal. That’s one of the many reasons they average $3 million a year without the Sundays. I also tried the new grilled nuggets. They only look slightly like the picture. Actually they’re just the chicken patty cut into nugget size chunks. Mine kind of looked like they were torn apart. While the chicken patty is moist and tender cutting it into chunks produces something that tastes good but presents as kind of greasy. Not Chick-fil-A’s best work.